The sunshine has come back into my life both literally and figuratively today. I was pretty happy to wake up and be able to see my mountains this morning, even happier to realize that I wasn’t having that funky feeling I’ve been carrying around the past couple of days. I guess that’s the nice thing about being bummed out for no real reason, it’s easy to bounce back. I think I’m realizing how tired I got from all the stress of the summer, all the stress of the year… there just has been a lot and I haven’t always honoured how much it has exhausted me. But, today was sun and smiles again which feels so much better. 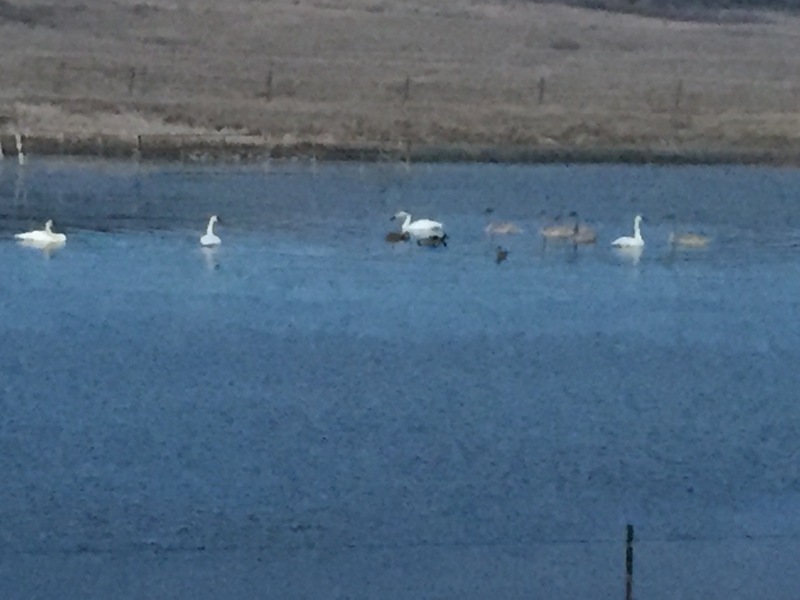 It started on the way into town – we drove past a family of swans. They always make me think of Dad which is bittersweet. My first thought was how excited he would be to see them, the second one was oh yeah… he’s not here anymore. But then I stopped anyway and shared the moment with him, with the kids, with God. It was a good moment. from my iphone – I was pretty close to them. I got some really positive news from a cousin who has been dealing with some pretty serious health issues and that was fantastic. It was a moment to celebrate and remember how important this tribe is, how we need to love and support each other all the time, unconditionally, in good times and bad. And I did my healing light yoga today – that is always a happiness moment no matter what. I love how it puts me into balance, aligns me back with my Source, brings me to peace, and restores my strength. It’s pretty powerful stuff. So, tonight I go to bed happy. I had several happiness moments today, but best of all I was just feeling the happy all day long. That’s what this is about – having more sunshine than cloudy days. But honouring the storms too – they are what gives the rainbows.